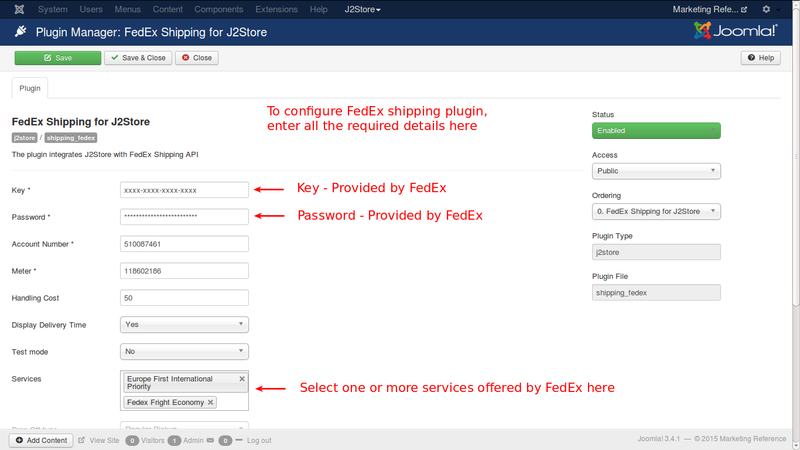 This plugin integrates J2Store with FedEx Shipping rate API. Consider the images for setting up the parameters. This is a unique FedEx key required to login. This is the password provided by FedEx and not your website login password. This is your FedEx account number. This is your meter number provided by FedEx. To show the delivery time, set this option to Yes. For live account, set this to No. For test account, set this to Yes. 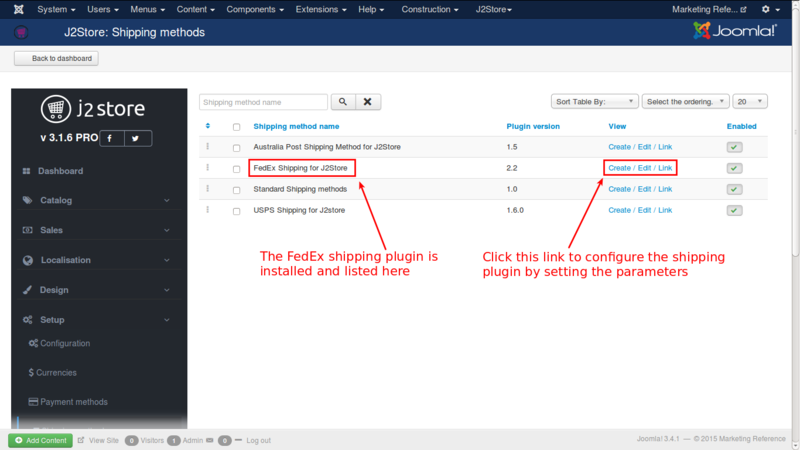 You can select one or more services offered by FedEx in this field for display in checkout page. Here is a list of drop off types and you can select one from the list. 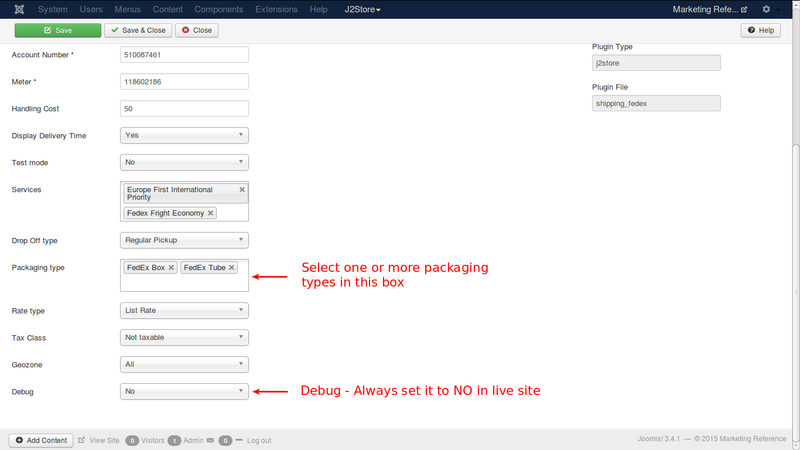 Here, a list of packaging types are available, with various dimensions. You can select one or more types. Account - This method uses the customers' account rate as the basis for the calculation of additional charges. List - This type uses the FedEx list rate as the basis for the calculation of additional charges. 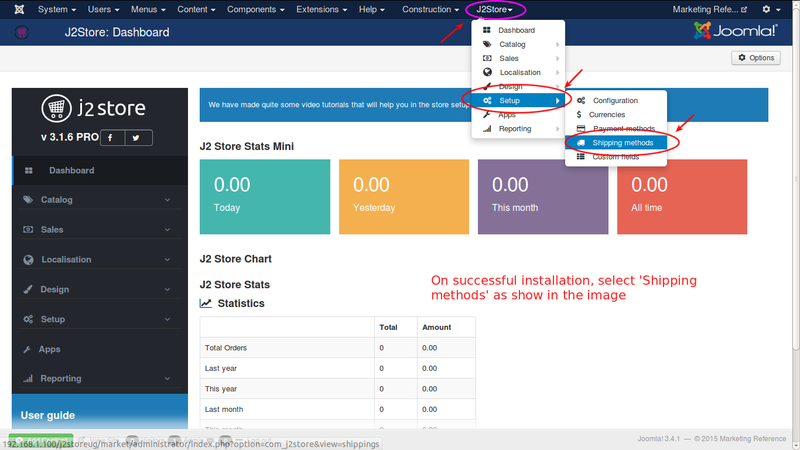 If you want limit this shipping method to particular areas, then you can select the corresponding geozone in this option. If this shipping is applicable to all areas, then set it to All.